You need to make this RIGHT. NOW. 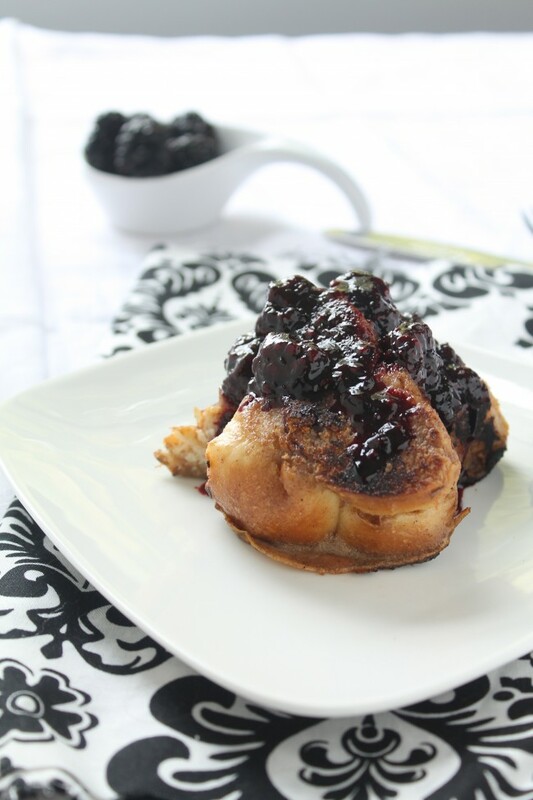 Remember how I told you I’ve been working on a copycat recipe for this awesome french toast? The one with an insane amount of boozy flavor and my name written all over it every day ever? WELL. I think I may have nailed it. This french toast has CRUNCH. It has TWO KINDS OF ALCOHOL. It has VANILLA-Y, CINNAMON-Y, CUSTARD-Y DELICIOUSNESS. It even has FRUIT so therefore it’s HEALTHY. What more could a girl ask for? But in all seriousness. 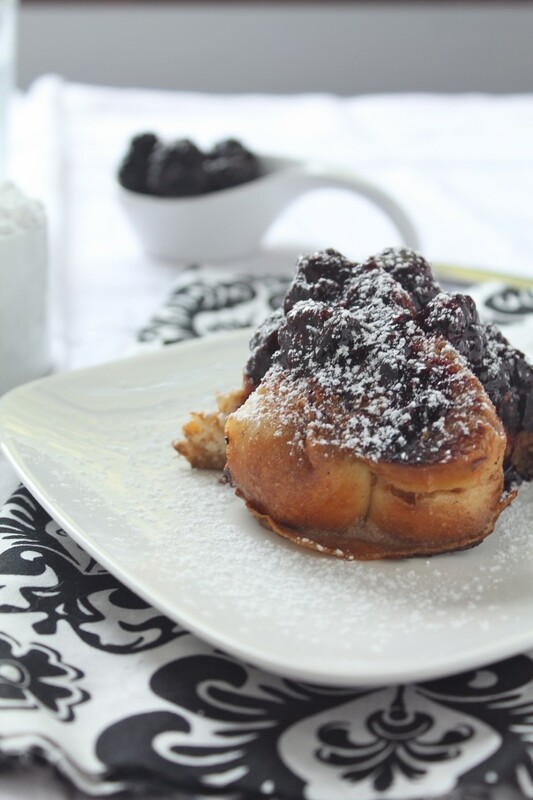 You need this french toast. You don’t know it yet, but you do. You need it like you need awful daytime reality TV and a 90s throwback playlist when you feel blue and just want to sit in your sweatpants and eat ice cream ALL. DAY. LONG. 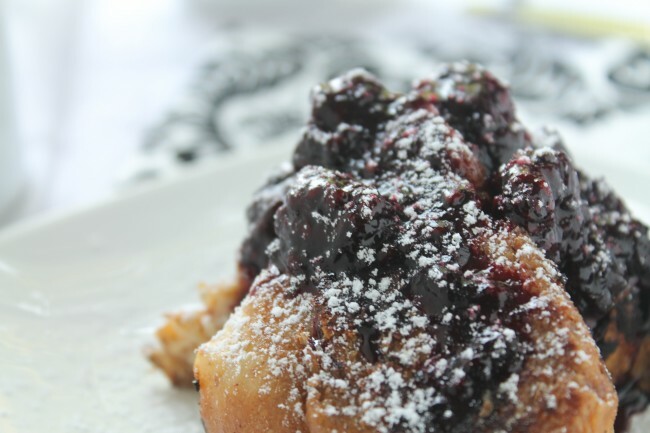 Except now, you can replace that ice cream with this french toast. ALL. DAY. LONG. In a small saucepan, combine the milk, half and half, vanilla, cinnamon, whiskey, and rum. Bring the mixture to a simmer over medium heat. In a separate bowl, whisk together salt, sugar, egg yolks, and egg. Whisk this mixture pretty vigorously for about 5 minutes, or until the egg yolks have lightened a bit in color. Remove your milk mixture from the heat and temper it into your egg mixture by whisking it a a little at a time into the eggs, until you’ve added about half of the milk mixture. 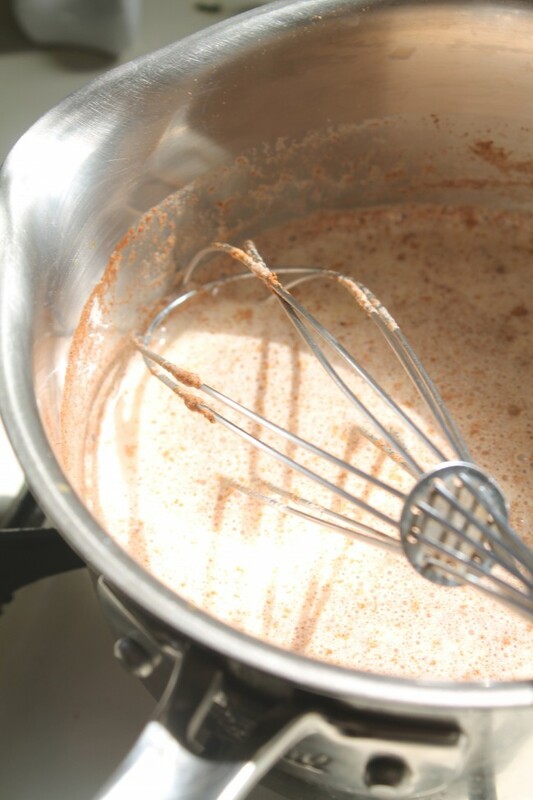 Add the remainder of the hot liquid and whisk until combined. Return the egg and milk mixture to your saucepan and put it back on the stove over low heat. Heat it, stirring frequently, until it has thickened a bit and will coat the back of a spoon, about 4 minutes. Remove the custard from the heat. 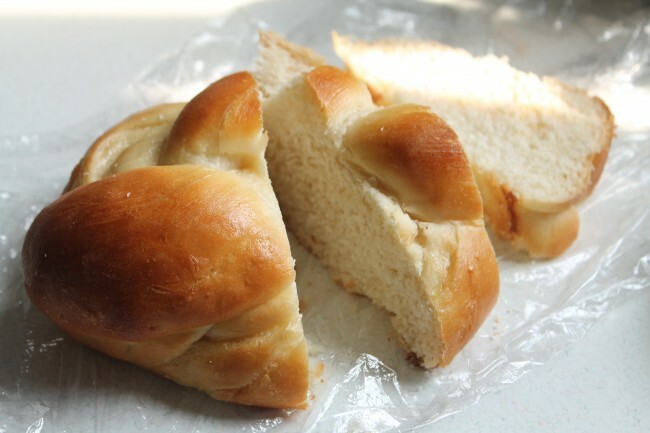 Dip the challah slices into the custard and soak for about 30 seconds on each side. 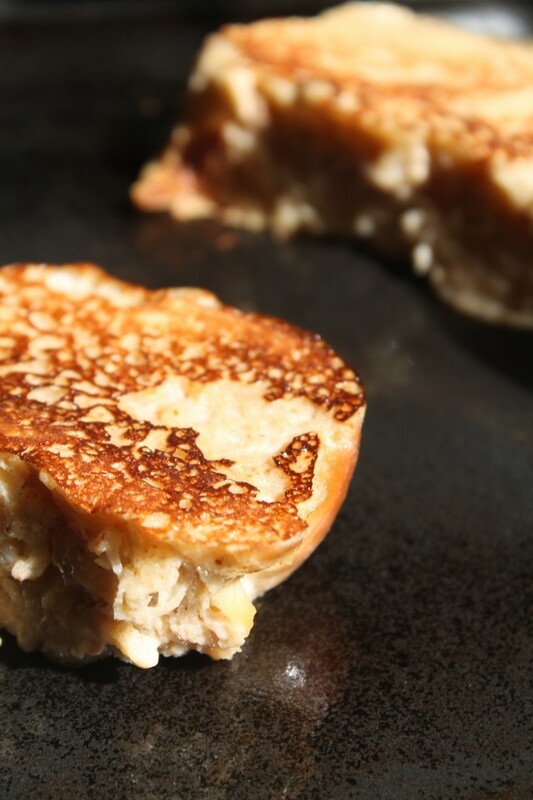 When the slices have been evenly coated with the custard, place them on a preheated skillet and cook for 3-4 minutes on each side, until golden brown. 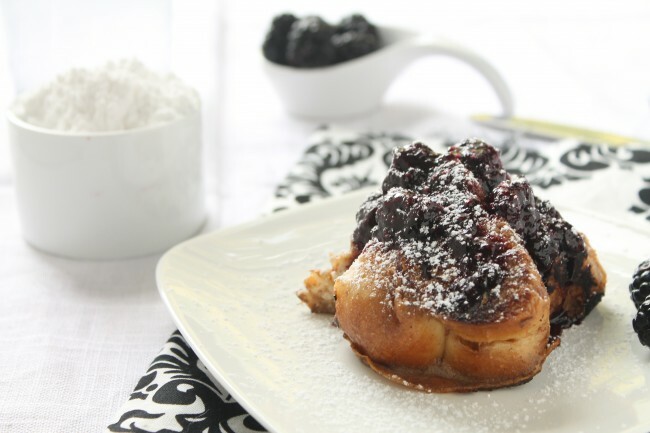 Serve hot and top with blackberry rum sauce and a sprinkling of powdered sugar. Wow! Sounds delish! Question: Can I make this same recipe and leave out the alcohol? I’m pregnant, and will be feeding a toddler. 😉 Is making a ‘custard’ the secret to divine French Toast, vs simply dipping in a sweetened egg/milk mix? Thanks!! Hi Katie, I haven’t tried this recipe without the alcohol, but you can certainly give it a try! I doubt it will affect the texture of the french toast, but the booze is what lends a real depth of flavor to this recipe so you’ll lose some of that. The custard does make the french toast especially rich (more so than just eggs and milk) so I love that step, but you can certainly make adjustments to suit your tastes and timeframe!